How Can Bean Bags Lounges Help You to Relax? Bean Bags R Us NewsBean Bag LoungesHow To Relax In Style – With Bean Bag Lounges! At Bean Bags R Us, we take relaxing seriously! That is why we offer stylish seating that you can use to get comfortable at home, in your yard, or even at the beach. No matter where you plan to unwind, we have the perfect lounge chair for you and your family. These chairs are generously sized so that they can accommodate children and adults with ease! 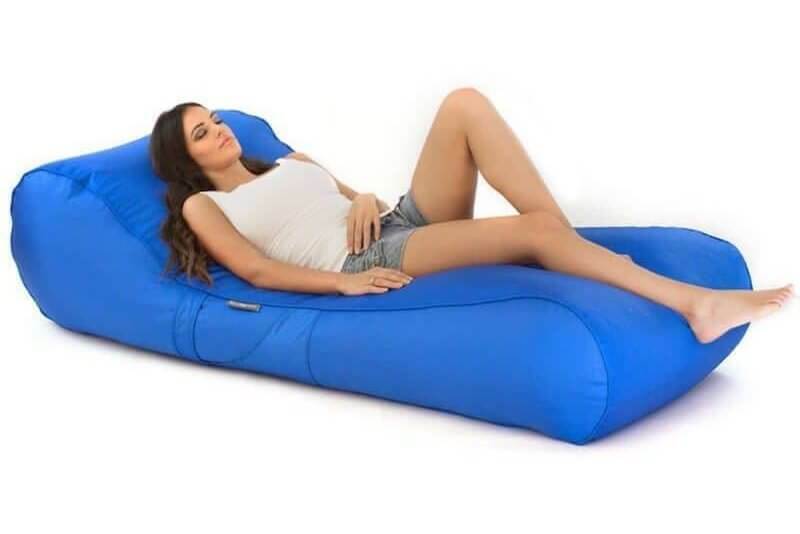 Our line of bean bag lounges is so famous because they are incredibly soft yet feature a well-shaped form that helps provide support exactly where you need it when you’re trying to relax! Unlike big recliners and large folding chairs, our lounges are soft and lightweight because they are filled with Polystyrene beads or pellets, making them easy to move them around the home or outdoors. Another reason our lounges are so popular is that they are built to last! They feature a sturdy back so that you can sit upright, lean back, or even prop your head on so you can take a nap. The short answer is – anywhere you want! Because our beanbags are made with high-quality materials, they can withstand the sun, grass, sand, and practically any surface type. Keep one by the pool for a convenient place to bask in the sun while your kids play in the water. Children will love using these as a place to rest, and because these are meant to be durable, they can handle getting wet! A deck or patio is another favourite place for these lounges. They are often used in place of more traditional deck seating because they are more comfortable and can withstand the sun and rain without problems. Another great place to put a bean bag lounge is in a teens bedroom since they can be used for watching movies or studying. They also make great gaming chairs, for those whose teens love to play video games. To make the most out of your lounge area, try adding a low side table to hold drinks or snacks while you unwind. A small basket can also be used to keep magazines, towels, or any other accessories. You can also attach a pouch by using a little Velcro if you need a place to store your remote, phone, or other small devices. These pouches are not included, but you can find them almost anywhere. Pick Out Your Favorite Today! Our lounges come in a variety of colours, such as red, pink, black, and several shades of blue, so everyone in the family can find their favourite colour for their new lounge! You can create a splash of colour in your home by choosing several different colours and placing them in the same area, or you can create a matched set – the choice is yours! Because our bean bag lounges are made from high-quality material, the bright colours will last for a long time, even if you use them outdoors or near the water!